"Dog Asthma Attack requires that first the clinical signs of the bronchial disease are addressed. The goal of treatment is through trial and error find the correct combination of medications and support therapies such as homeopathic remedies to avoid future canine asthma episodes." An attack can be very scary, especially if you are unprepared for it. Asthma is rare in dogs, but it does occur. 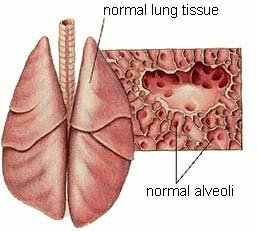 It is a condition in which the bronchi (air passages to the lungs) fill with mucous, swell, and begin to spasm. This limits the amount of air that can reach the lungs. It can be a very serious condition. Symptoms include coughing, wheezing, and gasping for air. 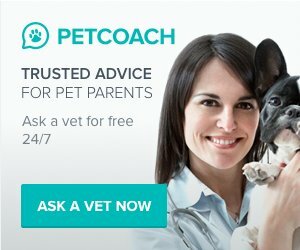 Your dog will sound as if he cannot "catch his breath". He may move his body around in odd ways, trying to get more air, or he may paw at his face. He will likely panic, just as anyone would who cannot breathe. Since your vet will probably not be there to witness your dog's asthma attack (record it if you can with a camcorder), he or she will have to make a dog asthma attack diagnosis another way. First, the vet will get a history from you. Then he or she will examine your dog and take a chest x-ray to rule out any other medical problems that could be causing the symptoms you describe. If no other medical problems are found, your vet will prescribe medication for asthma and instruct you on how to deal with future asthma attacks. Three things need to be achieved when treating canine astham. First, bronchodilation must occur (a widening of the lumen of the bronchi, allowing increased airflow to and from the lungs). Secondly, the veterinarian will need to address any inflammation that is the underlying cause of the bronchoconstriction. Finally, particularly in dogs with chronic bronchitis, cough suppressants may be required. Once the dog's condition is brought under control, the therapeutic goal is to manage symptoms and slow down its progression. An asthmatic dog requires long term care for the life of the dog. The veterinarian will try a combination of medications to bring the condition under control. With dog asthma attack treatments, the first line of defense is prevention. Your vet will likely prescribe some sort of medication designed to prevent future asthma attacks. Choices include corticosteroids, which reduce the inflammation of the lungs and bronchi; antihistamines, which reduce the amount of fluid and mucous in the airways; and bronchodilators, which reduce the swelling of the bronchi. Often a combination of medications is prescribed. Medications may be given orally or by an inhaler. If the medication must be given by an inhaler, your vet will show you how to do it. Even with regular medication, your dog may have an asthma attack. When this happens, try to keep your dog calm. The attack will pass. If your dog has severe asthma attacks, your vet may prescribe medication to be given at the time of an attack. Epinephrine is a medication given be injection that will work immediately to reduce the swelling of the airways. Your vet will teach you how to administer the medication. Herbal and homeopathic asthma treatment can be extremely effective in dogs. Depending on the severity of the asthma, they can reduce or even eliminate the need for the synthetic drugs. Natural remedies may also be used to complement conventional treatment of asthma. Natural remedies such as AmazaPet are gently effective without the side effects or other complications that often accompany conventional drugs.